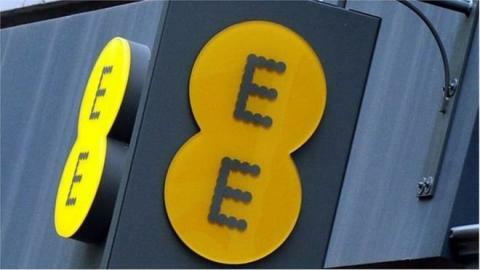 People in Bolsover, Derbyshire, are now able to benefit from much-improved 4G mobile phone coverage following a major investment by EE, the UK’s largest mobile operator and part of the BT Group. The rural town is one of the latest locations in the UK to benefit from engineering work making it easier and quicker for people to get connected on their mobile phones. With 4G Calling and WiFi Calling, EE customers can also make phone calls in more places than ever before. It is EE’s ambition to connect 95 per cent of the UK landmass to its superfast 4G network by 2020, including some of the most remote parts of the country. 4G from EE is now available in more places than any 3G network, just four years after launch, making it the UK’s biggest and fastest network expansion. This work in Bolsover complements BT’s drive to improve broadband connectivity across Derbyshire, where more than 450,000 homes and businesses have access to fibre broadband thanks to BT’s commercial rollout and the company’s Digital Derbyshire partnership with the county council. To learn more about EE’s indoor and outdoor 2G, 3G and 4G service, customers can use EE’s online coverage checker.EE has also launched a Network Status Checkertool, which provides real-time and personal updates to customers about network performance. Customers can also set tailored alerts for places important to them, such as their place of work, home or home of a loved one, and they will receive personalised alerts if there are network issues. EE was recently named the number one overall mobile network in RootMetrics’ latest independent Mobile Performance Review, with a clean sweep across reliability, speed, data, calls and texts. More than 1,000 new call centre jobs in North Tyneside, Darlington, Plymouth and Merthyr Tydfil have been created during 2016 as part of the company’s commitment to answer all EE customer service calls from the UK by end of 2016.